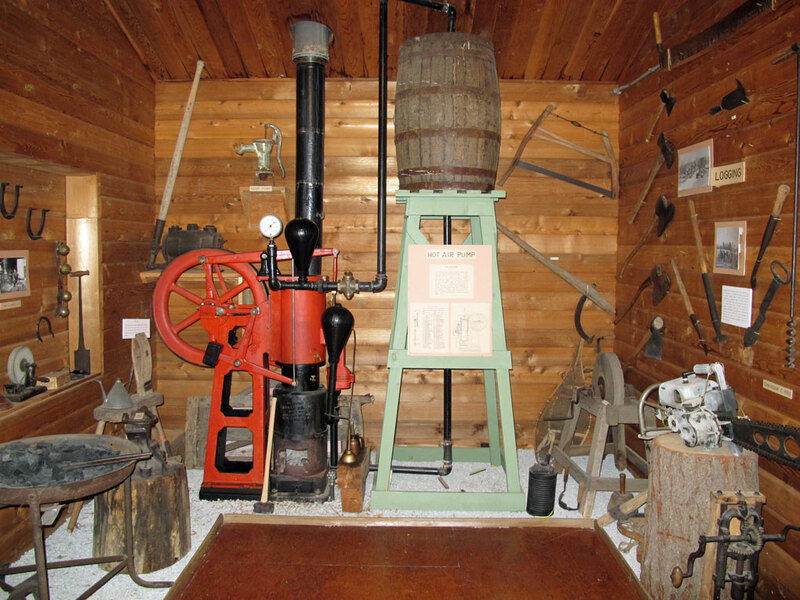 The ‘Modern’ Inventions Room contains paraphernalia associated with the early cottaging times in the region. Washing machines, clothes manglers and wringers, carpet beaters, vacuums, a collection of early irons, and other ‘modern’ conveniences are all on display. The portable blacksmith’s forge, ice making implements, and old logging tools, (including a 1930s chain saw) display the other aspects of early life. The Hot Air Pump, one of only 12 in existence, is also on display for examination.